Today I’m finally kicking off the “projects” part of my blog. Yay! As an avid artist, crafter and Pinterest enthusiast, I just love taking stuff I already have and making it special. Revamping and reusing stuff is such a great way to reflect our Creator, be good stewards of the earth and save money! Yessss. Great combo. Today’s project was inspired by a photo I saw on Pinterest, and although I haven’t embroidered much ever, I decided to give it a shot. 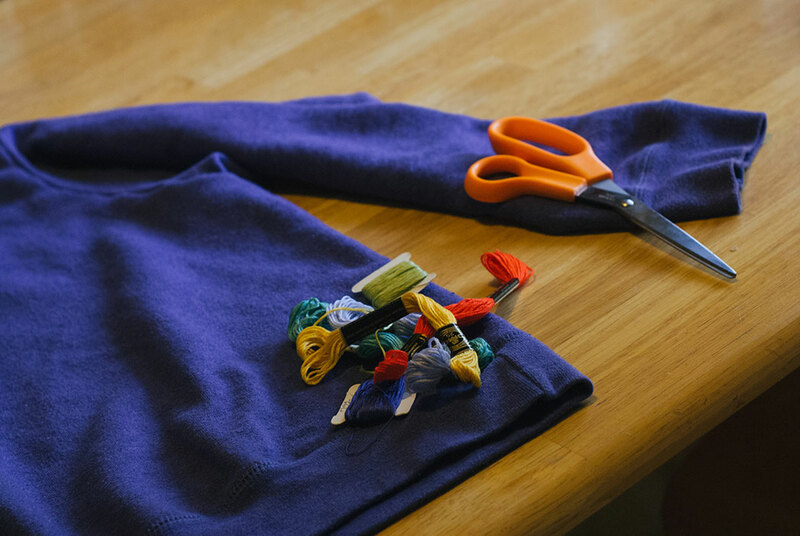 Cut around the collar of the sweatshirt to loosen up the neckline. Begin neckline embroidery using the picture as a reference. If it’s not perfect, it’s okay. Use different stitches and overlap a few. Cut the pocket shape bigger than you want it to be in the shape you want, using the collar of the shirt as the top part. 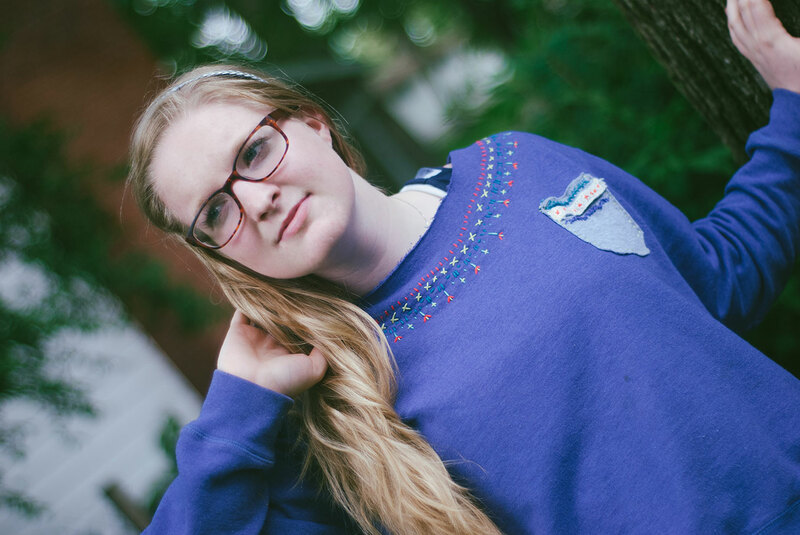 Embroider across the pocket with a few different colors first, and then fold the sides in and pin it where you want it on the sweatshirt. Secure it down with a basic running stitch. 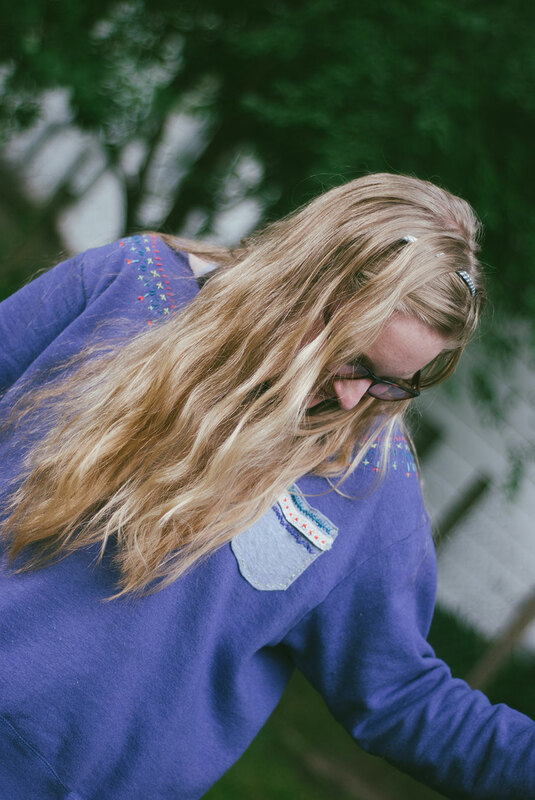 Rock the sweatshirt. 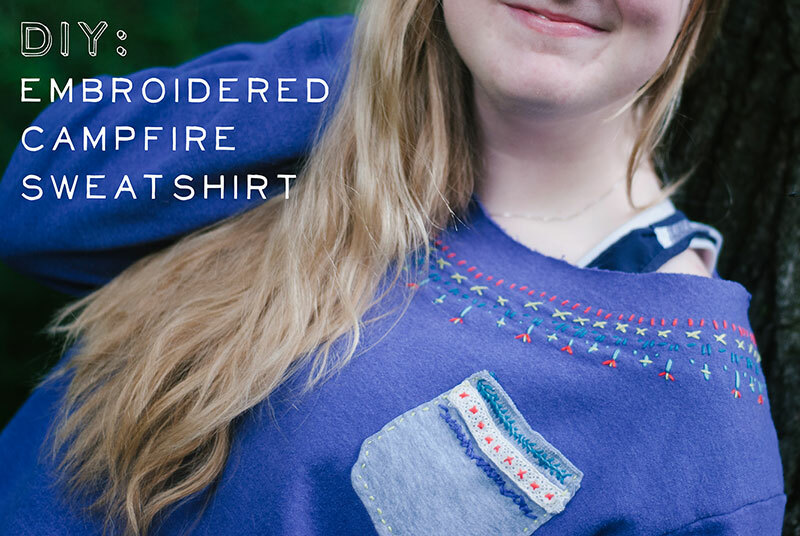 Perfect for summer nights and cooler fall weather! Enjoy!